Happy Monday Everyone! I hope you had a great week. I had a fantastic week working on updating a few of the agent spotlights, getting them reviewed by the agents, and setting up four more agent spotlights through June. I have them all listed at the top of the blog. Between these and and the author/agent guest posts I have scheduled, I have about 9 query critique contests coming up. So excited for the opportunities for you all to connect with an agent and get some feedback. I hope you'll take advantage of the opportunity and enter my contests. And please, spread the word to other aspiring writers. Today I'm thrilled to have debut author Alyson Gerber and her agent Kate McKean here to celebrate the release of Alyson's MG contemporary BRACED. It sounds like an inspiring story with a true middle grade voice about a girl who doesn't give up. It's gotten fantastic reviews. The first contemporary novel about a disorder that bends the lives of ten percent of all teenagers: scoliosis. Then the doctor delivers some terrible news: The sideways curve in Rachel's spine has gotten worse, and she needs to wear a back brace twenty-three hours a day. The brace wraps her in hard plastic from shoulder blades to hips. It changes how her clothes fit, how she kicks a ball, and how everyone sees her -- even her friends and Tate. But as Rachel confronts all the challenges the brace presents, the biggest change of all may lie in how she sees herself. Now here's Alyson and Kate! 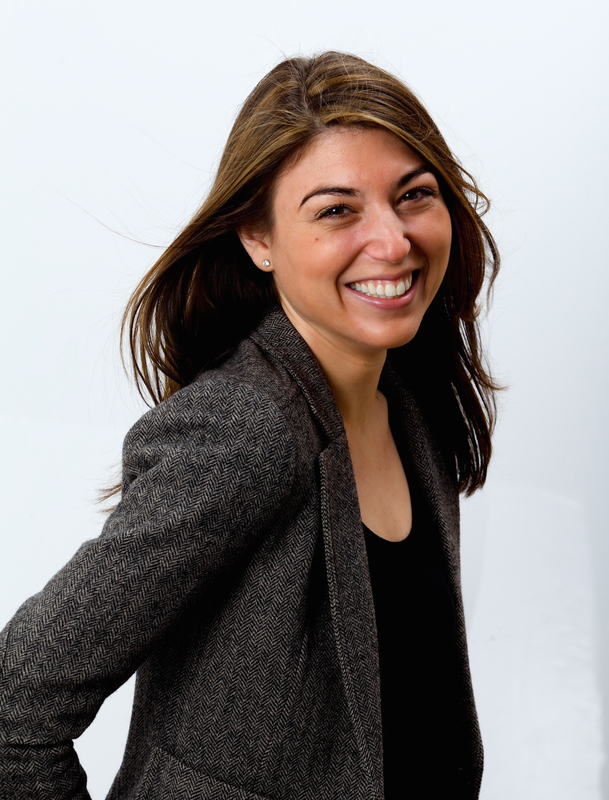 Alyson Gerber: Querying is so stressful! If you are querying right now, you are definitely not alone. Most authors have been through this process and totally get it. It's sort of a right of passage, so welcome to the club. represented contemporary middle grade and young adult books that I really loved and that I thought were similar enough to Braced in either tone or topic. I identified ten agents, including my agent Kate (!!! ), and I wrote specific emails to each person, checked their websites to make sure they were accepting queries and followed the directions listed. I sent out all ten emails at once and then I waited and waited and waited. I had no sense of when I'd hear back from anyone, and I was really nervous that I wouldn't, so I kept researching and making lists of other agents who I thought might be a good fit. A lot of people say you should keep writing while you're querying, and I definitely tried to listen to that advice, but every time I sat down to write, I ended up researching or refreshing my email and feeling bad that I didn't have an agent and I hadn't written anything. Instead, I used that period of time to read. I would put my phone and computer away for a few hours and disappear into a book. It was the best distraction for me. It can be a challenging to put yourself out there. I think it's important to do what makes you feel good about yourself as a writer. rejections, requests for the full manuscript, and requests for the first few chapters. Some agents sent standard rejection emails, but I went back through my emails and found three personalized rejections that all gave different reasons why they would not be offering representation. I remember having a conversation with a friend, who at the time already had a few books published. She said if the rejections are all saying the same thing, it might be worth going back to the manuscript and thinking about revising, but if they were all different, that was probably a good sign. To stay busy, I sent out one new query every week. It took a few months before I heard back from Kate and another agent at almost the same time offering representation! I hope you are doing well. 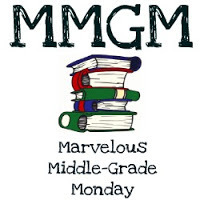 Caela Carter and Jess Verdi, my friends and classmates from The New School, recommended that I reach out to you about my middle grade manuscript. I'd be honored if you'd consider representing me. In BRACED, 12-year-old Rachel Brooks finds out she has scoliosis and is going to be stuck in a back brace for twenty-three hours a day to stop the curve in her spine from threatening to leave her permanently deformed. In case wearing a plastic bucket around the middle of her body isn't bad enough, her mom is pregnant, which means as soon as seventh grade starts everyone is going to figure out that she's a total freak. She's sure her best friends Hazel and Frannie will only sort of get the whole brace thing and that once Tate Bowen sees her in this thing, there's zero chance he'll ever like her. It doesn't help that her mom and surgeon dad keep telling her how lucky she is to be treated by one of the best spine specialists in the world. Shouldn't they of all people get how awful this is? Think a modern DEENIE. There is no verbal trick or magical combination of words in a query that will get you noticed. Not writing in the voice of your characters, trying some "negging" technique on the agent (Yup, someone did that) or claiming your book will be THE NEXT MEGA BESTSELLER. What gets you noticed is explaining clearly and concisely what happens in your book, when what happens is compelling and interesting and sellable. Aly's query was short and sweet and told me what happens in her book. Not why she wrote it, who will buy it, or how many millions of copies it will sell. Calling it a "modern DEENIE" was the cherry on top. 2. Do all your annoying homework. Trying to sort through all the conflicting information about agents on the internet is time consuming and frustrating. We know! (And no, we can't just make a master database for you to search in. Just isn't gonna happen.) This is just one of those things you have to buckle down and do. Start with reputable websites like the Association of Authors Representatives, aaronline.net, Publishermarketplace.com, and AGENTS' OWN WEBSITES. An agent's website should be your final, end-all, be-all source for appropriate genres and submission guidelines. Make a big, messy list of all the agents you want to send to, research reputable sources, and then make the best decision with the information you have. When you've done your homework well, you're probably going to end up in the right place. I don't know who else Aly sent her book to but I would not be offended if I wasn't the only one. She had no idea if I would like this, or if I had room for my list for it. She did her homework--getting a referral from two of my clients--and sent it off. And then it all worked out for both of us. Remember you're not the only query on an agent's desk. It's super easy to think I sent this two weeks ago. Isn't that enough time for her to read it????? (And you'll probably think that about your agent when you sign with one, too.) But remember, that agent probably got 20-50 queries that day. And has other clients. And professional obligations. And a life. And probably needs to eat sometimes or play a gem game on her phone once in awhile. Be patient, and follow up politely according to the agent's stated turn-around time, if available. Two weeks is too soon to follow up. Three months is a good, average time when you should hear back, if an agent is not a no-response-means-no agent. I went back and looked, and it took me about two and half months to read Aly's first chapters here, even though her query came with such a great referral and was clear and well written. Once I got the full manuscript, I read it in about two weeks and offered representation. All in all, this isn't an overly long timeline, but Aly's patience in those two months, which I'm sure was not easy to bear, paid off! Thanks for sharing all your advice, Alyson and Kate! Alyson has generously offered an ARC for a giveaway and Kate is offering a query critique giveaway. To enter, all you need to do is be a follower (just click the follow button if you’re not a follower) and leave a comment through April 1st. If you do not want to be included in the critique giveaway, please let me know in the comments. If your e-mail is not on your Google Profile, you must leave it in the comments to enter either contest. If you mention this contest on Twitter, Facebook, or your blog, mention this in the comments and I'll give you an extra entry. You must be 13 years old or older to enter. The ARC giveaway is U.S. and Canada and the critique giveaway is international. I enjoyed reading about Alyson's book. I love the cover. Thanks for all the info about the giveaways. I'm actually giving away a copy of my book, too. There is a post over on the GROG blog about it. I would never had thought that. I love this advice. It's truly helpful to those looking for an agent--and the fact that she shared her letter is even better! I've had family members and friends wearing the brace. Good to see a book about it! Congrats. I know people with scoliosis. What they've had to deal with and overcome is amazing. It's nice to see a book about real issues. Congratulations, Alyson! Thanks for sharing your query letter. It's always best for me to see a good example. I had a student who went through just this same condition. The book will be a welcome addition to school shelves. 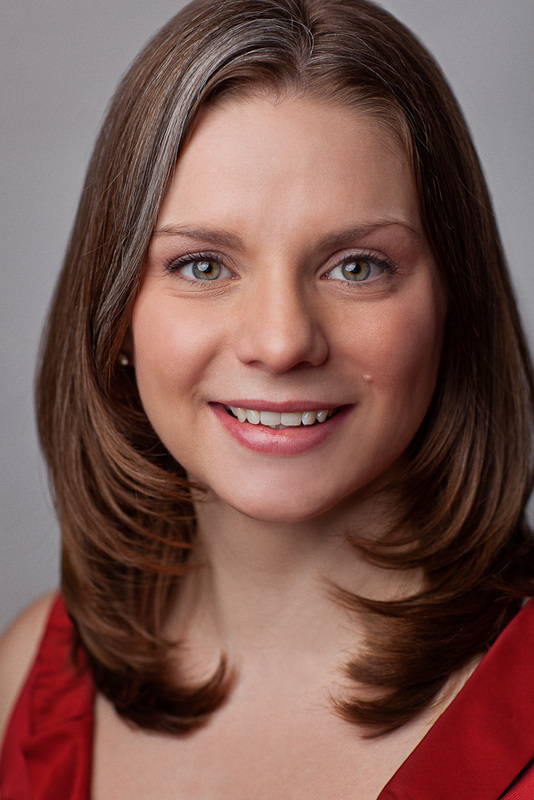 Alyson's query story was an honest portrayal of what it takes to jump to the other side. Thanks for this helpful post. A question for Kate: what is the general length of time to wait before querying the same agent about another book? I was surprised to learn one agent considered a year-old query still active. I hadn't heard from her so assumed it had been shuffled to the slush pile. Congrats to Alyson on your release! I'm not sure Kate will stop by and answer questions. But yours is a good one. I think if you comment on the agent spotlights coming up, it's more likely an agent will stop by and answer the question. This sounds like a truly unique story. And I appreciated the two sets of advice about querying by Alyson and Kate. It was also helpful to see Alyson's query letter that worked so well. And I love how Alyson handled waiting — by reading, reading, reading. Sounds like a very good and relatable book! 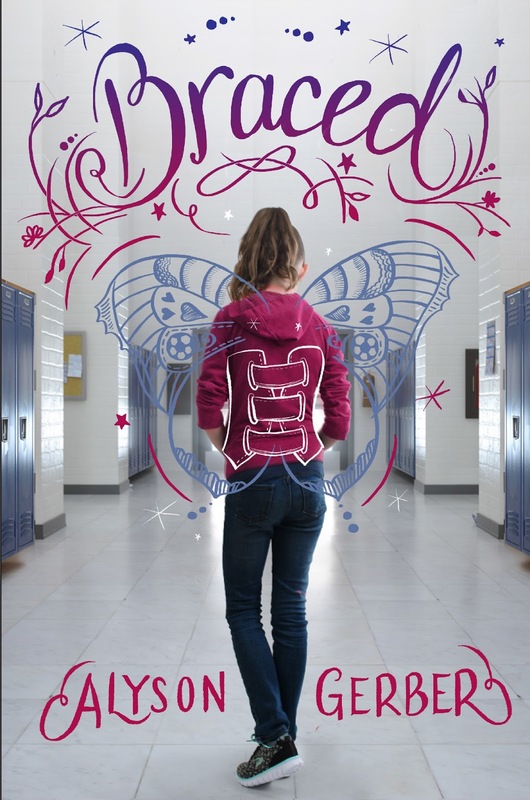 Congrats, Alyson, from another YA author with scoliosis, and oh how I was so afraid I'd need to wear a brace in high school like Deenie. Cheers! Wow. I'm writing a book about scoliosis, because I had it, but my story will take after my experience with spinal surgery. I am very much interested in reading Braced. It's not often...hardly ever...when I come across a good story about scoliosis. Sounds like a great book! I'm impressed with the improvements made in the back braces for scoliosis I've seen at school, but it's still difficult for any kid (or one!) to feel different! I imagine agents and publishers are all very busy. You have a lot lined up, Natalie! And sorry, this post never showed up in my Feedly. Lots of great things coming up on the schedule, and this one was no exception. I like that 'Keep it simple, scribe' advice. Many thanks to Natalie, Alyson, and Kate! Thank you, Kate and Alyson! This was helpful! Thanks for the interview and giveaways, cheers! great interview- and am looking forward to reading BRACED! I can't wait to read your BRACED! Great interview! A query critique would be helpful. Hoping for great success for BRACED. Thanks for the great advice on queries and I look forward to reading Braced! I'm interested in the very unique topic in Braced, and the agent interview was very helpful. A good reminder to be patient! Not entering either contest. The advice given here is great and I'm glad the author has a book that is also partly based off her own back experiences. Congrats. I like reading about querying and how to do it. It's good to hear from someone who has recently been in the process themselves. Thanks for sharing! I am not entering either contest. Thanks for sharing your experience! Braced sounds like an interesting story. This sounds like a good book! I'll add it to my list. Thank you, as always, for the giveaways! Braced sounds like an amazing read! I would love to be entered to win the book but I do not need to be entered for the critique. Being able to read successful query letters is very helpful. Thanks for including one in your post. I'd love to have a query critique! Thanks for the great interview and advise! Cheers. This sounds like a really intriguing book! I'm glad it found a home. I twitted this post! It's awesome! I just want to be included in the ARC giveaway please! Alyson's path to publication story is so inspiring, and thanks for the giveaway! Forgot to mention, my email is xinraina@gmail.com. Thanks! Thank you for sharing your query letter. Alyson, querying is stressful. The first thing I thought when I read your premise as it sounds like a modern-day Deenie. It was one of my favorite books growing up. Then I saw you called it that in your query too! I'd love an opportunity to win a query critique from Kate. My email is tmilstein at gmail dot com. I'll share this on Twitter too. The perspectives Alyson shared were heartening. Thanks. I really enjoyed this interview. Thank you! I teared up when I read the story summary, so I'm going to have to read this one.